This week we split time between the Georgia Coast and Irwin Idaho for a fishing and cooking extravaganza. The appetite teams with Tybee Island Fish Camp Chef Kurtis Schumm for a couple of Badia Chef Showdowns, and I rendezvous with an old friend in Idaho, stationed at the Lodge at Palisades Creek to round up some snake river dandies and we revisit our trip with the troops of Fort Stewart in an Angler vs. Appetite showdown. 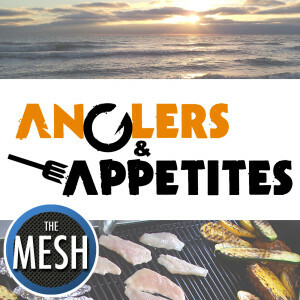 Visit the "Anglers & Appetites" page for more information about this show!